4/14/19 - McCloud Dinner is served, Day 2 with Brothers Moreno was another fantastic day, steady action on beautiful browns an rainbows and a double digit day, what more could you ask for on your first trip to McCloud. 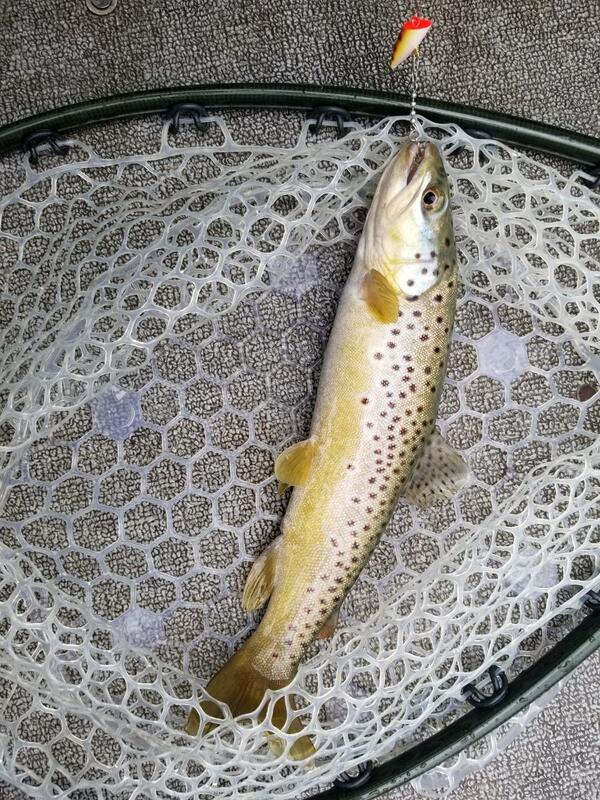 McCloud reservoir produced a very good Trout bite yesterday but at depth much deeper than normal. 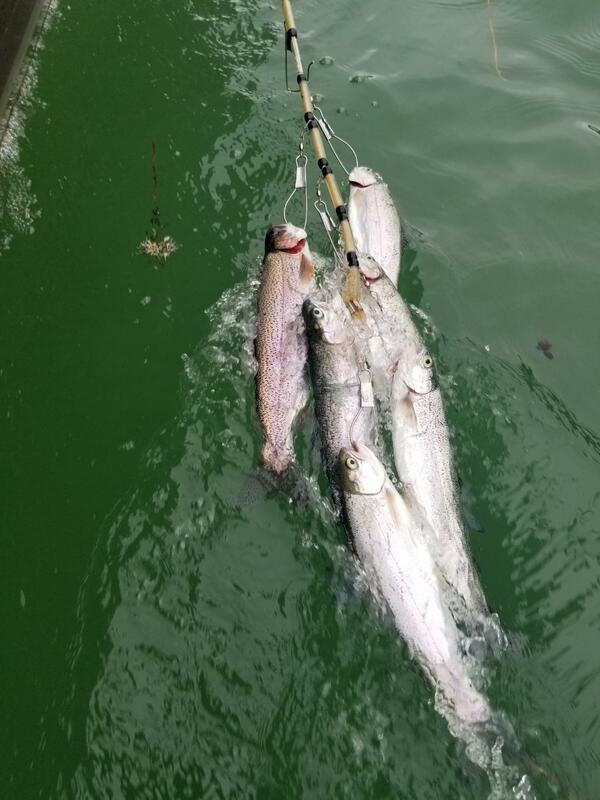 My clients found steady action on good hard fighting dinner trout between 40 and 60 feet. They bite on some of the usual stuff Seps Dodger an worm and surface trolled trolled woolly buggers but what they bit best, was Pro-Cure shrimp krill oil dipped trout plugs trolled slow. Trolling between 1 an 1.8 was the honey zone. Rising lake level may have changed the normally consistent top 20 feet bite at McCloud. Low surface temperatures which is not as uncommon may be moving the fish around as well. What has remained consistent is once you find the trout they are hungry and wanting to bite. Boaters should be aware that many Lakes and Reservoirs are filling fast now including McCloud Siskiyou and Shasta. Boat and prop killing degree is all over so slow down and pay attention. 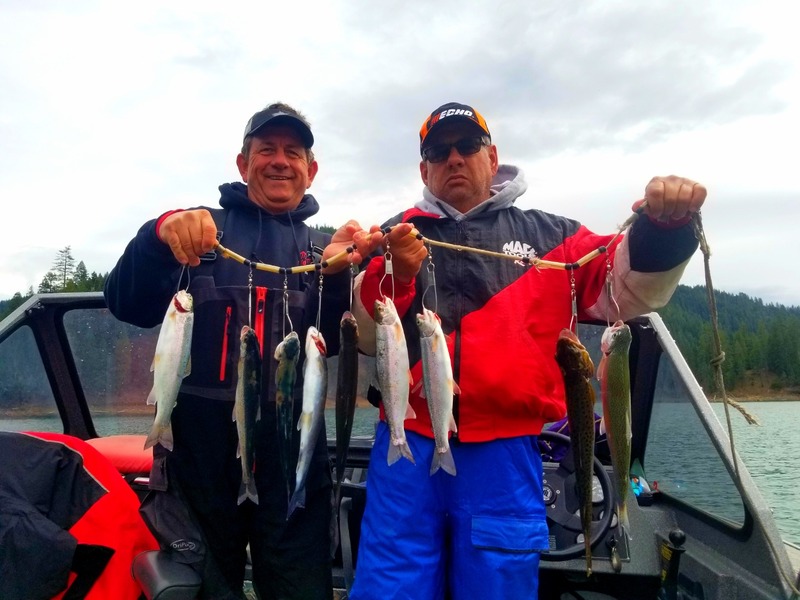 It is looking like we ate finally heading into spring weather we did hit 68 degree on the Lake Siskiyou on Saturday and over 50 degrees on McCloud yesterday. 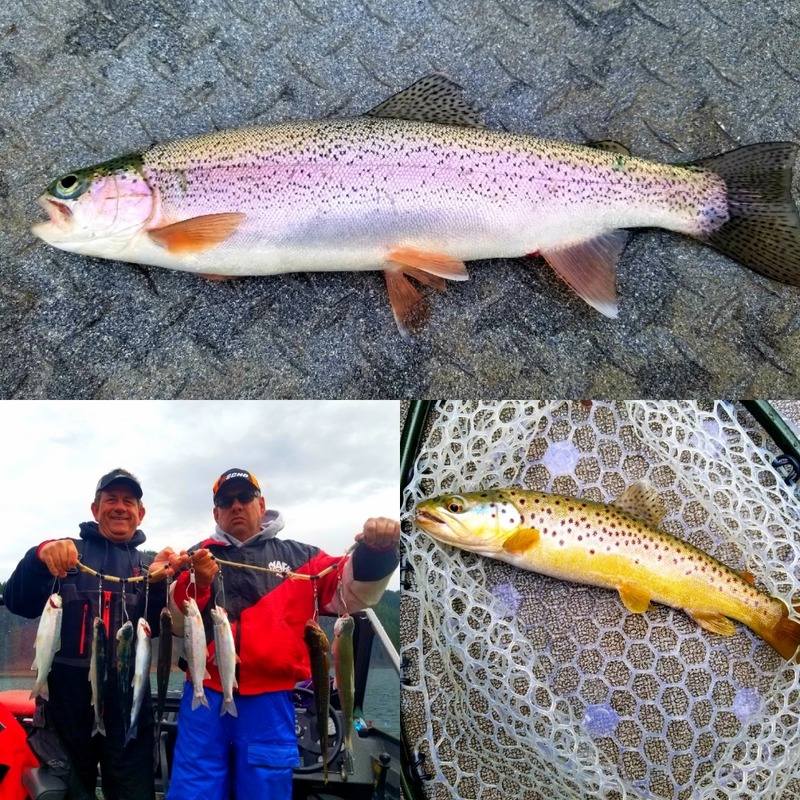 Fishing has been good to great so far this year sonic your looking for some Tasty trout and other fish species action give me call and let's put a trip together. NorCalFishingNews.com © 2015. All Rights Reserved.